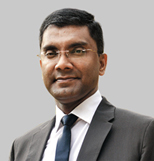 Sangeeth Varghese is an acknowledged management thinker who has consulted for nations from Africa and Asia, institutions like UNO, World Bank, ADB and Fortune 500 corporations like Microsoft, Intel, Unilever and Coca Cola. He was nominated as a Young Global Leader 2010 by the World Economic Forum, Davos. Varghese was a Principal Consultant for UNO based out of London. Varghese researched and studied leadership at Harvard and the London School of Economics with scholarships. 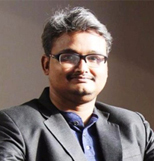 Vidyadhar has more than a decade of experience in business planning, research and analytics. He has executed more than 500 projects for clients like Google, Coca Cola and Pfizer and institutions like World Economic Forum, JETRO and USAID. Prabhudesai was nominated as Global Shaper by World Economic Forum in 2011. Vidyadhar is an alumni of Thunderbird School of Global Management and Aegis School of Business. Annu has over a decade of experience. Prior to this she was in Caterpillar Inc and TeamLease Services managing resources and clients. She has done her MA in International Relations from Stella Maris College. She is also a green belt in Six Sigma. Kennedy has over two decades of industry experience. Formerly, he was the Principal Consultant at Promasidor Zambia. He has also worked with Probe Zambia Market Research, Colgate Palmolive Zambia, PTS Research, Research International and AAAI. 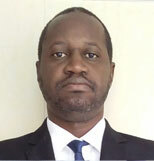 He has worked closely with Amon to set up the retail audit panels in Malawi and Zambia. John leads the operations in Zambia. He was previously an Area Manager with Cash Crusaders, CETZAM and British American Tobacco. 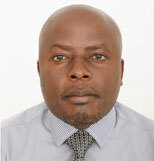 He also worked as Regional Manager for Northern Zambia. He has done his degree in Business Administration from Copperbelt University with International marketing as major.